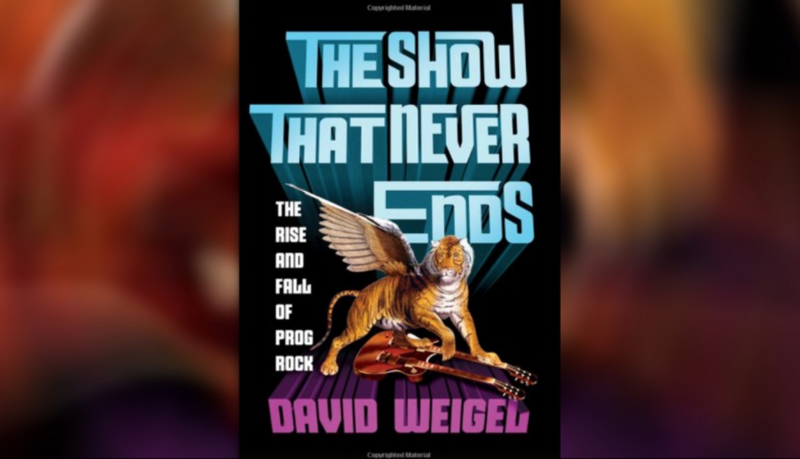 TeamRock reports about the upcoming release of the book "The Show that Never Ends: The Rise and Fall of Prog Rock" written by the American journalist David Weigel. The forthcoming 368-page edition will tell about the history of progressive rock and its reviving popularity. The book will be published by W.W. Norton on June 27. A statement of the release reads: "The Show That Never Ends is the behind-the-scenes story of the extraordinary rise and fall of progressive prog rock, epitomised by such classic, chart-topping bands as Yes, Genesis, Pink Floyd, Jethro Tull and Emerson Lake & Palmer, and their successors Rush, Styx and Asia. "Washington Post national reporter David Weigel tells the story with the gusto and insight prog rock fans will relish. Along the way, he explains exactly what was 'progressive' about prog rock, how it arose from psychedelia and heavy metal, why it dominated the pop charts but then became so despised that it was satirised in This Is Spinal Tap and what fuels its resurgent popularity today." The statement continues: "The Show That Never Ends is filled with the candid reminiscences of prog’s celebrated musicians. It also features memorable portraits of the vital contributions of producers, empresarios, and technicians such as Richard Branson, Brian Eno, Ahmet Ertegun, and Bob Moog." "The Show That Never Ends: The Rise And Fall Of The Prog Rock" is available for pre-order via Amazon.